Good: Quirky, Hamster dress up! We never imagined that we’d wind up playing a game that was named Mr. Nibbled Forever, but here we are, running for our lives to unlock new hamster outfits as we go. At first we wondered what this game was doing on Steam and why anyone would actually buy it. That was at least, until we tried it. Would the world suffer if it wasn’t released on Steam? No. Did we like it? Kind of. Prepare yourself for a possible new guilty pleasure. While Mr. Nibbles can be seen in many different costumes, which is already fun in itself, it’s nice to see that the developers actually did something with the different outfits. Not only will putting on a new fancy suit change Mr. Nibbles’ appearance, it will also change the background and the trail the hamster leaves behind. 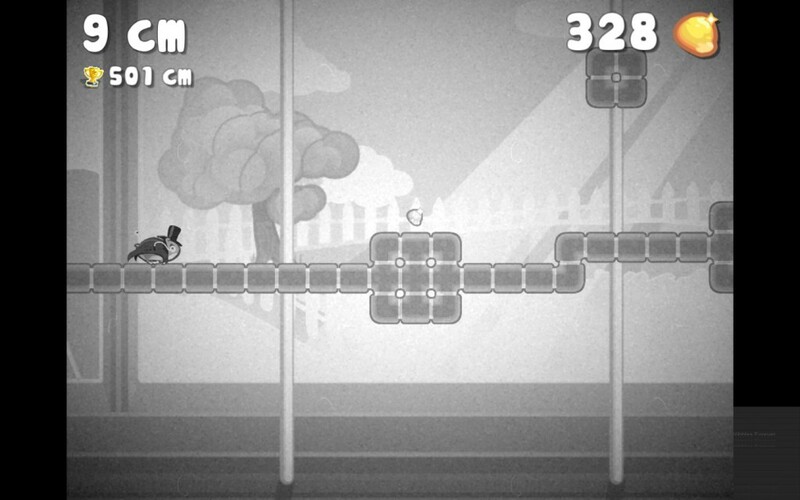 It’s amusing to see references to Nyan Cat, Michael Jackson, Back to the Future and so on. Even though the backdrops are often simply darkened, skewered or subtly covered up when wearing different suits, the overall difference shows that the developers at least tried to complement the different outfits with a different background. Overall simple, yet creative. The only bother for Mr. Nibbles Forever is that it’s clearly a mobile game that has been thrown on Steam. The menus look the same as they would on your phone and truth be told, it looks quite horrible this way. While the colors are all in your face, a different layout and appearance would have done wonders for this title. The soundtrack isn’t really that explosive, save for some of the outfits. Just like the difference in the playing field when you’re wearing another outfit, the music shifts as well when you’re trying out new suits. Thanks to this, the game actually has a decent amount of variety when it comes to music, which is actually surprising for an endless runner such as this. 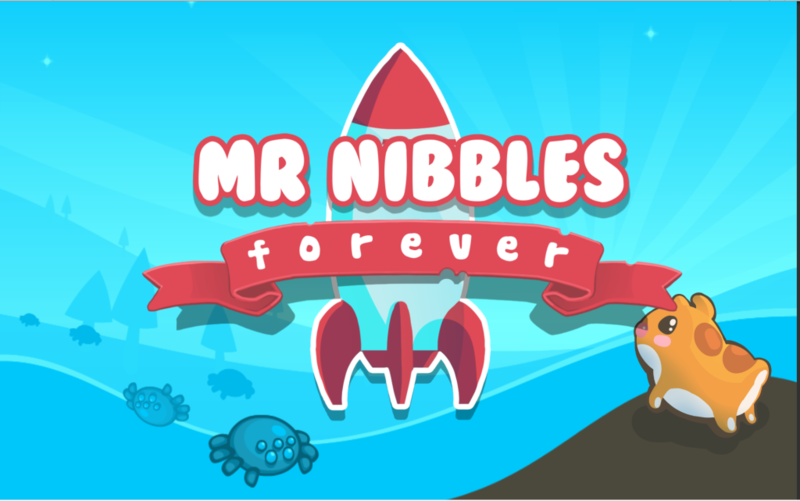 Mr. Nibbles Forever is an endless runner, with a few quirks to make things a bit more motivating to keep playing the game. This means you’ll have to run and jump for as long as hamster-ly possible, all while collecting yummy nibbles on the way. As you’ll only be able to alter your running speed and jump, things prove to be extremely straightforward. If you die, you start over from scratch, at least if you haven’t earned yourself some extra lives. Even though the game is an endless runner, there is a bit of variety to be found when it comes to the stages and through the addition of ‘challenges’ to the equation. These challenges often throw you in a different stage and reward you with either ‘nibbles’ or outfits. While these challenges offer nothing new when it comes to the overall gameplay experience, they add a certain incentive to keep going, at least until you’ve unlocked all of the fourteen extra costumes, which sadly takes somewhere around one hour. The nibbles can be used to spin the furry wheel of fortune, which grants you with new outfits or temporary bonuses such as an extra life during your run(s), double jump capabilities and nibble magnets, which draw in the yummy food, making sure you can spin the wheel quicker. Only a hundred nibbles are needed before you can spin the wheel. Other than what’s mentioned above, Mr. Nibbles Forever doesn’t have to offer that much extra, except for some online rankings which might motivate you even further to come out on top. It’s clear that this game is meant as a witty and amusing pastime, rather than a game to be taken seriously. While everything is fairly decent in Nibbles-land, the game still suffers from a few bugs, such as showing Mr. Nibbles in very odd and awkward angles and crashing when you fail a challenge and press to spin the wheel, rather than retry. Small issues, but the latter can prove to be an annoying when it happens a few times in a row. 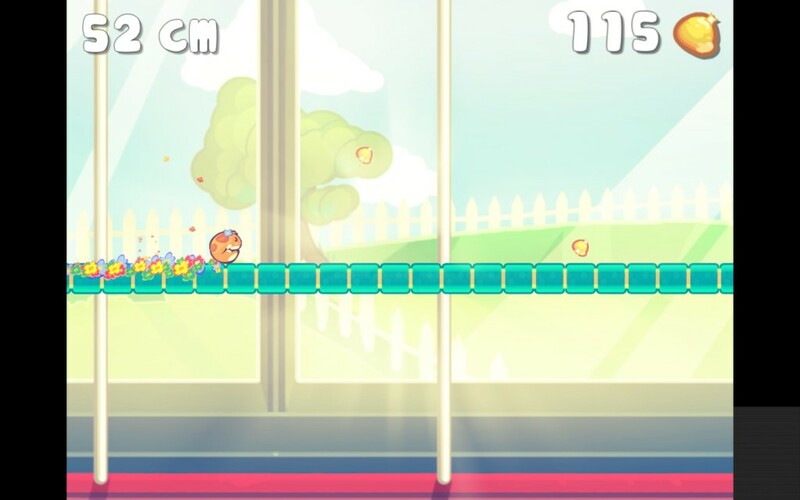 Mr. Nibbles Forever is a fun and quirky endless runner. While the game will not immediately become a hype on Steam and the remnants of it being a mobile game are still clearly visible, the game does have some charm and proves to be a lot more entertaining than we initially thought. If you or your kids love to dress up hamsters while dodging spiders and travelling to outer space, might want to take a nibble at this one.